Can you imagine a life without the ability to communicate? This is the reality for many of the deaf in Cameroon, Africa. With few resources many deaf children never learn sign language or have the opportunity to go to a school for the deaf. 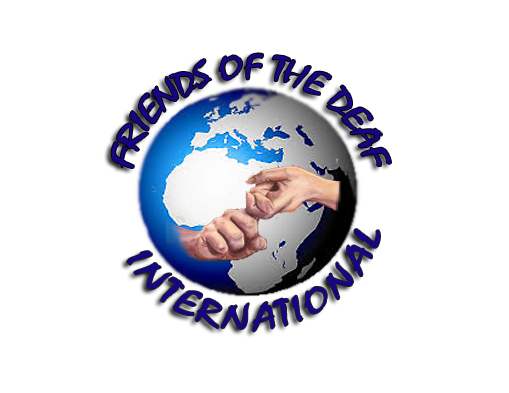 Unable to sign, read or write, they are locked in a life of poverty with no voice or sense of community, considered by many to be nothing but "throw aways"
It was to help these "throw-aways" in developing countries that caused Rev Michael Jarrett to found the ministry outreach, "Friends of the Deaf International ". The goal of the ministry is to help the deaf learn to read, write, sign and develop a vocation, so they can lead productive lives. Our intention is to help open and or expand deaf schools in partnership with the local deaf leaders that are a model of sustainability. by helping build a school in Cameroon! - Jesus said what we do to the "least of these" we do...to and for Him. - we have been created in Christ Jesus to do "good works"